Polysomnography: During this test, specific equipments are attached to you to monitor your lung and brain activity, heart, arm and leg movements, breathing patterns and blood oxygen levels while you are asleep. WatchPAT is an FDA-approved diagnostic device that uses innovative technology to ensure the accurate detection of sleep apnea. It is very popular mainly because it is extremely easy to use and is greatly complemented by the fact that WatchPAT testing can be carried out in the comfort of your bedroom; an ideal place that reflects the exact pattern and facets of your sleep. That fact alone serves as a boon to millions of undiagnosed patients who are worried about spending the night away from home at a sleep center. WatchPAT monitors various changes in peripheral arterial tone and activity and also saturation levels in blood oxygen. It also detects events of sleep apnea just like the equipment that are used in polysomnography (PSG) sleep studies do in hospital sleep labs. WatchPAT represents one of the most modern and best equipment that 21st century medicine and science have to offer for at-home testing. Its automated data analysis and ease-of-use imply that you don’t have to wait to get your diagnosis done. 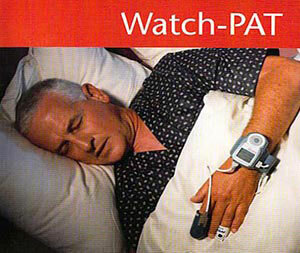 Once you return the WatchPAT to your doctor, you will be given an immediate and detailed sleep report. This kind of instantaneous report generation compared to a lengthy wait in most sleep centers and hospitals allows you to begin with the necessary sleep apnea treatment the same day without any delay. Sleeping disorders like snoring and Obstructive Sleep Apnea are common problems that can impact your sleep health and negatively influence the quality of your life. 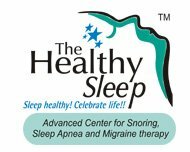 Snoring is often a symptom of OSA that is caused by changes in the upper airway when you sleep. An Apnea Risk Evaluation Screening Test is recommended and it involves a simple questionnaire. 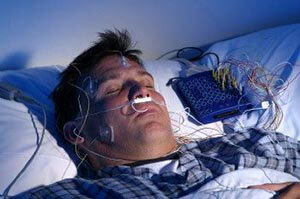 If results indicate sleep apnea, you will be advised to visit a sleep clinic for further evaluation. During routine oral and dental exam, the doctor will evaluate your mouth for signs that may indicate airway issues, snoring and sleep apnea. An Epworth screening test may be also recommended.